The Borderlands series by Gearbox has been a fan favorite for years and with the 2-year anniversary of the PlayStation VR, Gearbox and Sony have just announced a VR version of the acclaimed Borderlands 2. We have been blessed with a semi-live-action — it’s CGI but still awesome — trailer for Borderlands VR. We get to see a person in the real world step into the body of Maya as she lays waste to enemies. It is a lot of fun for a mini trailer and although it isn’t gameplay, I think it will help inspire those who weren’t sure about it to give it a try. The Borderlands Instagram account gave us our first look at the gameplay from Borderlands VR at TwichCon 2018 and from what we can see from the short clip it looks like a lot of fun. The gameplay shows a small sequence of combat as well as showing off the smooth motion. I’m one of those people who gets a little sick from smooth motion but they have said that teleport mode will be available. It looks like Borderlands 2 VR won’t ship with the 10 DLC that the original game has now. The Borderlands twitter account tweeted that only the core game will be available for VR. This is a big blow to those who were hoping for the full Borderlands 2 experience in VR as a lot of the best content came from those 10 DLCs. Will we see these DLCs come to Borderlands 2 VR at a later date? Only time will tell. While information is still a little sketchy, here is everything we know right now. What on earth is BadAss Mega Fun Time? What other VR goodness is there? Borderlands 2, which came out in 2012, is a unique take on the first person shooter (FPS). With a funny and crazy story, Borderlands 2 never took itself too seriously, giving you the chance to enjoy the cel-shaded visuals spraying blood all over you and the literal millions of weapon combinations the game could spit out at you. If you don’t own it already in non-VR form, it’s still worth picking up and playing through, especially since it’s available on just about every platform and console. Even now it holds up as one of the most fun FPS I’ve ever played. Borderlands 2 VR is controlled primarily with the DualShock 4 controller but is said to be "Enhanced by the Move Controllers." The team at Sony have mentioned that the game will include teleporting as your means of locomotion, which has been utilized in a lot of VR games since teleporting helps to reduce the motion sickness that can occur in VR. 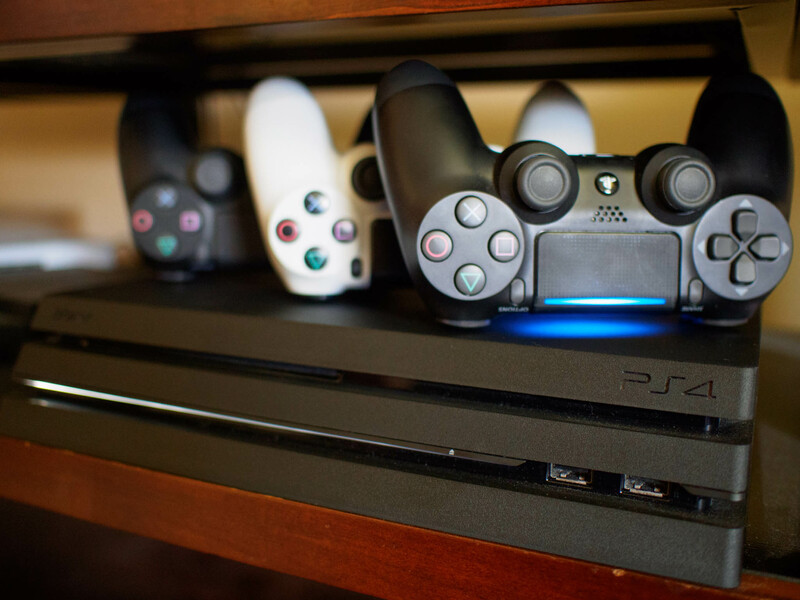 However, using the DualShock controller will allow you to move around at a walking and running pace. Using the Move Controllers should allow us to use the melee and gun powers separately for some pretty sweet combos and it will definitely make dual wielding heaps of fun, while the teleporting mechanic will hopefully make boss fights a little easier, or crazier. At least, it’ll put a new spin on the game if you’ve played it already. We updated previous skills that relied on a co-op partner, such as Maya’s "Res" ability, which now is called "Empathy" – causing Phaselock to deplete half your current health, damaging enemies based on how much health you lost. While it’s a shame we won’t be able to play on Pandora with our friends, it’s good to know that Gearbox has reworked the game instead of just doing a straight port, which given the crazy nature of the gameplay would have probably made for a poor port. BadAss Mega Fun Time — or BAMF Time — is a new mechanic especially developed by Gearbox to help you cope with the frantic nature of the game in VR. Essentially, it’s a bullet-time mode that allows you to move around in real-time while everyone else is going as slow as molasses. This kind of slow-motion is exceedingly helpful in VR as a way to gather your thoughts and take specific aim at something rather than just raining a hail of bullets on everything. It’ll also allow you to use your skills while in BAMF Time, making kills even easier, or crazier, depending on your tastes. For me, crazier is always better. Borderlands 2 VR will let you play with all the original hunter classes but with their skill list updated to use the VR view and the BAMF Time mechanic. This is another welcome change from Gearbox, showing they have put thought and effort into the VR version of the game. The other big VR experience is going to be the driving. Taking the unique way VR handles visuals, Gearbox is trying a different approach to the vehicular mayhem from the original game. You’ll use the Move Controllers to steer the vehicle while your headset acts as your target reticule. All you need to do is look in the direction you want and your gun will shoot that way. This could, of course, be a recipe for disaster and make you feel sick but I think Gearbox is aware of this and is just trying to have some fun with us. Borderlands 2 will be available on December 14 but is available now to pre-order through the PlayStation Store. If you do pre-order, you get a PS4 theme for your troubles. The Pre-order price is $50, which makes sense since it’s a full-length game. Previous articleThese microSD card prices just went micro for Black Friday! How do OnePlus phones compare to more expensive flagships?